When installing a fire suppression system, one of the main concerns is often about the consequences if it unintentionally goes off. What kind of damages will ensue? Will my insurance cover it? Who is at fault? Regardless of your main concerns, an accidental discharge is sure to be an embarrassing, costly, and frustrating incident. An inadvertent release of a fire suppression system is actually not very common: studies show that they occur at a rate of less than 1 in 16 million (SFPE). If one does occur, the main cost is due to property damages and the price to refill your foam supply. 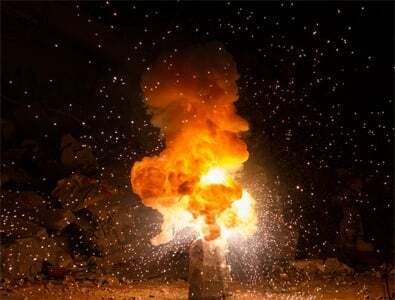 Modern systems provide assurance for some accidental discharge worries; they are designed to suppress fires in the most effective way possible with minimized use of resources. For example, water mist systems use significantly less water than a firefighter's hose and clean agents are designed to leave little residue (Tufts). As you decide how to deal with accidental discharges, your best bet is to do everything you can to prevent them from occurring.This starts with knowledge; learn to recognize warning signs, potentially susceptible areas, and situations that lead to a false alarm. The following lists potential causes you may run into; for the cures, download our Guidebook that include a wider range of information. In some work zones, dirty environments are nearly impossible to avoid. For example, dirty byproducts are often an accepted part of power generation or manufacturing certain items. Fire suppression systems are installed in these facilities for everyone’s safety, but the dirty conditions unfortunately make it harder for them to operate. Even in areas that are kept clean with frequent housekeeping, dirt can be brought in by drafts and cause systems to malfunction. Although some of us hate to admit it, humans are not flawless. 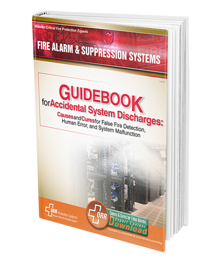 Human error occurs in almost all industries, and fire suppression systems are not immune. Potential ways to inadvertently activate your system include smoke from standard activities, like welding or soldering, or a gas mistaken as smoke by some detection systems. Pull stations are also vulnerable to release by an unintended touch or even a wayward prankster. You often can’t control the source, but you can control how your system is set up and reacts to uncontrolled stimuli. Even though accidental discharges are not common, any building manager should be aware of their presence and how to deal with them. Be proactive and work ahead of potential problems, and deal with them before they can bite you. For an in-depth look at these causes and to learn how to cure them, download the Accidental System Discharges Guidebook by clicking the button below.